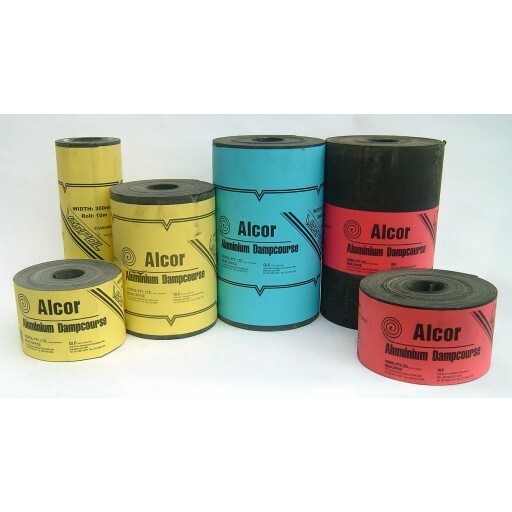 Alcor Standard is a bitumen coated fully annealed 99% pure aluminium core Dampcourse supplied in various widths and thicknesses. Alcor Standard is a bitumen coated fully annealed 99% pure aluminium core Dampcourse supplied in various widths and thicknesses. The aluminium core is coated with bitumen on both sides and edges to prevent lateral corrosion.